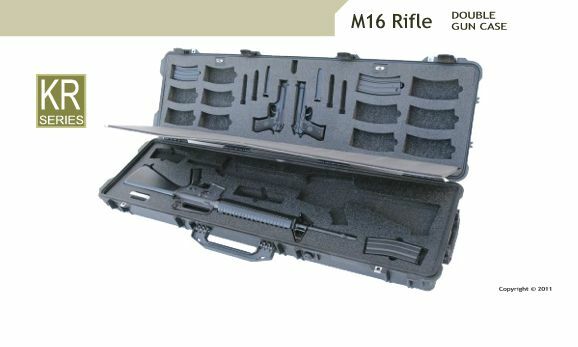 Holds one M16 single rifle with storage space for 8 magazines. 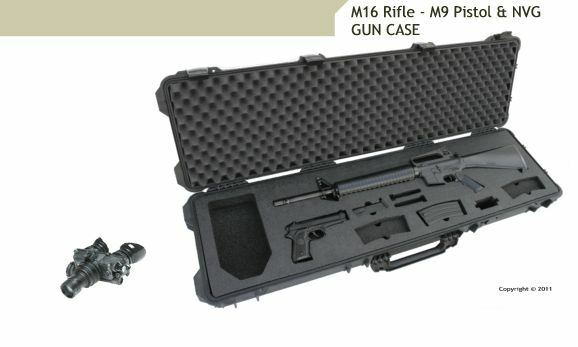 M16 & M4 12 pack deployment gun case with hard plastic interior and pad-lockable locking arm. 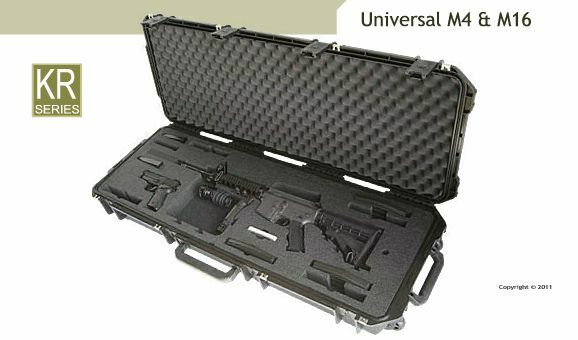 Gun Case holds one M16 rifle, one M9 pistol and Night Vision Goggles with storage for magazines. 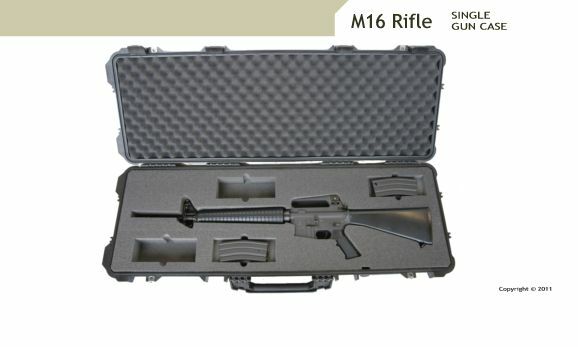 Case holds two M16 Rifles with storage room for magazines. 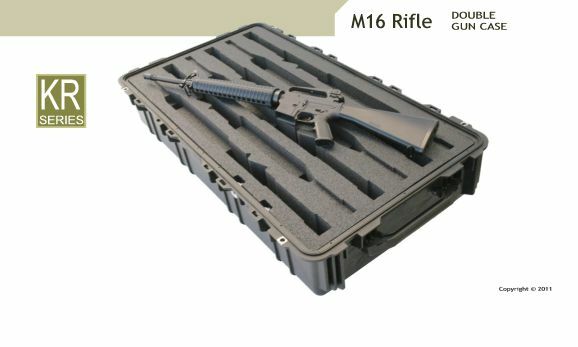 Securely ships and stores six M16 rifles (no storage for magazine clips). 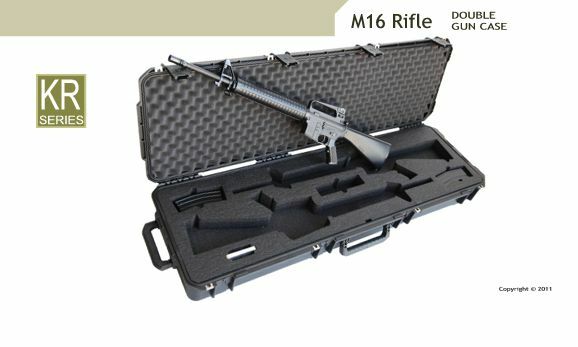 The M16 GunCruzer hard-shell gun case is designed to accommodate one M16 A1 rifle and seven magazines (30 rounds) – an overseas deplyoment requirement for combat units. Other models will also accomodate the M9 Beretta pistol or Night Vision Goggles. The custom foam interior is made out of high-density closed-cell Polyethylene foam bed is easy to clean, yet impervious to solvents and chemical attacks. The lid’s interior cushion is egg-crate-style convoluted foam.